There is nothing like a good Valentine's gift from a friend or a loved one. 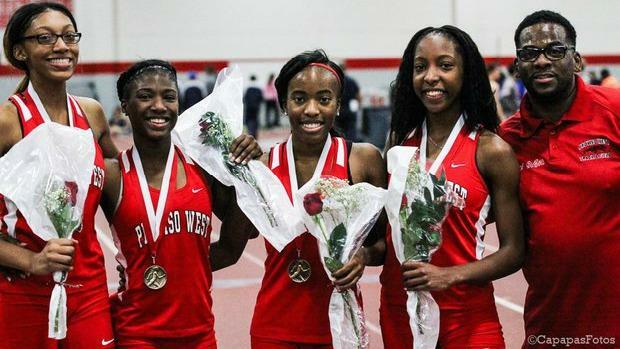 In this case, Proviso West High School will play host to one of the most exciting relays and generous offerings as winners receive a bouquet of roses. 4x200: This, of course, will be the first time for teams to assemble significantly strong outfits. There will be eight sections and Chicago (St. Rita) and Chicago Morgan Park have the top seeds at 1:33 and 1:33.47. It will remain to be seen if they can run up to par and hold strong against the hosts. The Panthers will be a bit short-handed as several top legs are out due to injury and personal reasons. 4x800: Distance relays in Illinois this early are a work in progress so don't expect blazing marks. The state leader is Downers Grove South at 8:42.50 and that should be toppled by several squads. Metea Valley was an all-state unit last year so it will be interesting to see what personnel the Mustangs have. State cross country power Mundelein has entered with an 8:22 seed time. They have Robert St. Clair, Blake Dillon, and Michael Parduhn. This could be the beginning of a strong quartet down the road. 4x400: Not sure what to think here other than Morgan Park who lists 3:30 as their seed time. The Mustangs may or may not be able to cover that mark, but one thing is for certain, it will be closer than one thinks for the "showstopper." 4x200: Chicago Kenwood has produced some fast times in recent years and they may be the team to watch. The Broncos may choose to run a blended team as they compete at Homewood-Flossmoor Friday evening. If so, watch for Chicago Lindblom and Bolingbrook to challenge for the roses. 4x800: Evanston has the top seed at 9:52 but Lane Tech is no slouch. The Indians come in with a 10:00 mark will challenge the Wildkits for first place. Can both teams get near their seed times and go home with a satisfying feeling? 4x400: The 7th and final section will have Lane Tech in the catbird seat. The Indians have done well in this event over the years. After several seasons out of the limelight, this would be a great opportunity to build the credentials back up. Niles North and Kenwood may have other ideas though.